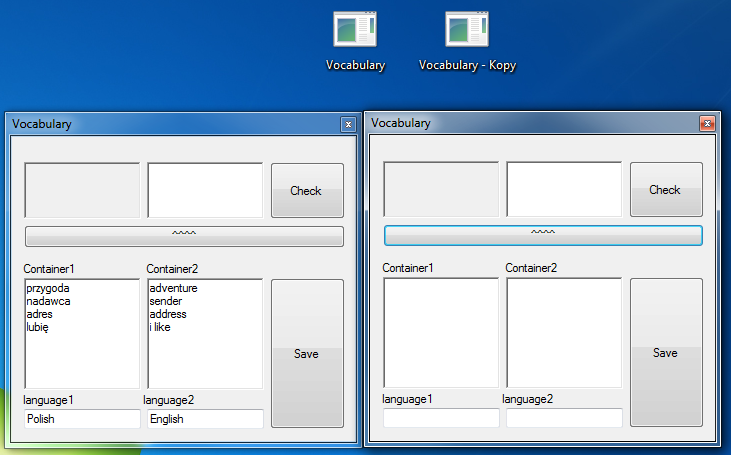 In container2 you input words from your second language. 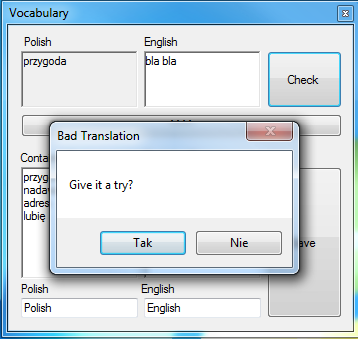 by pressing check it will check if you translated it correctly and will give you a new word to translate. if you write a wrong translation a message shows up and asks if you want to try again. if you press no it will give you the right translation.